Booked to visit the Nottingham arena which is literally next door - in terms of location therefore, this is ideal - also close to city shops and restaurants. We rented a 2-bedroom apartment and size of rooms was good, with spacious sitting room and kitchen area. Very convienently located to lots of restaurants and supermarket. Very clean apartment, comfy bed. Well equipped kitchen. Good location. Next to arena and short walk into town. Apartment was clean and roomy. Off street parking in secured lot. Close proximity to good restaurants and pubs. Everything was clean and excellent. Great value for money. Bed very comfortable. Take away food nearby very high standard. Bethany sorted out everything we asked.she was excellent. Apartment was well appointed and, since we were in town for a concert at the attached venue, it couldn't have been more convenient. Excellent facilities, sorry we only stayed one night! 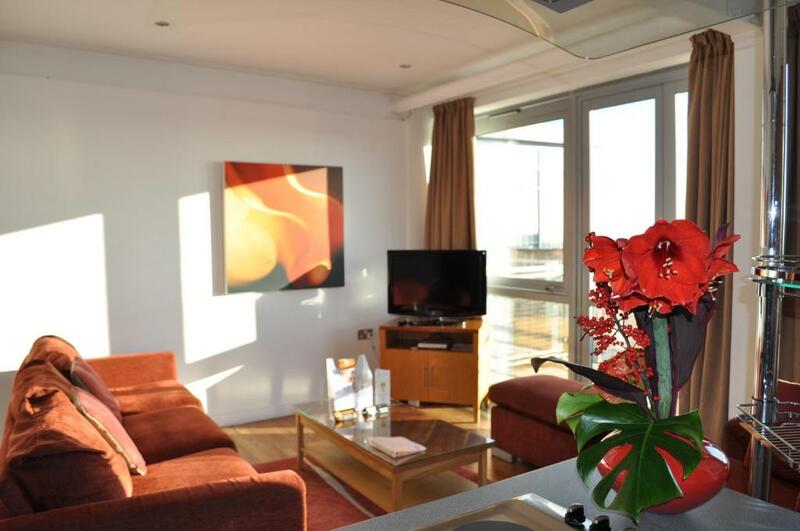 Lock in a great price for PREMIER SUITES Nottingham – rated 8.3 by recent guests! PREMIER SUITES Nottingham This rating is a reflection of how the property compares to the industry standard when it comes to price, facilities and services available. It's based on a self-evaluation by the property. Use this rating to help choose your stay! 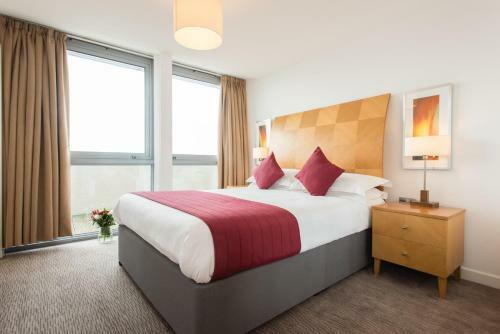 Located in the heart of the historic city of Nottingham, PREMIER SUITES Nottingham (Next to Ice Arena) offers self-catering accommodations a 5-minute walk to Nottingham's Train Station and Nottingham Ring Road. Parking facilities are available on site. Free WiFi is available throughout the property. 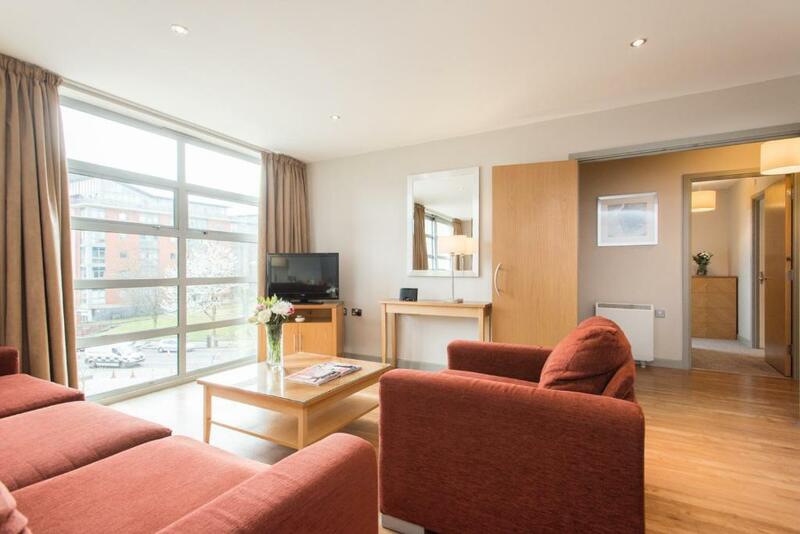 PREMIER SUITES Nottingham's modern apartments consist of one double bedroom, a living room and a well-equipped kitchen with a dining area. All apartments have a private bathroom fitted with either a bathtub or a shower and come with linen, crockery, cutlery and glassware. Guests can prepare meals in the apartment's kitchen or visit one of the many cafés, pubs and restaurants in the surroundings of the property. An array of supermarkets are also located within walking distance from the accommodations. The Theater Royal and the Royal Concert Hall are within a 15-minute walk. Nottingham East Midlands Airport is 14 miles away. 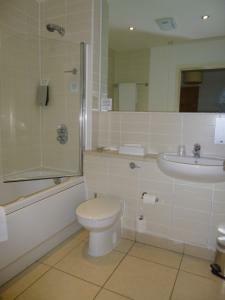 When would you like to stay at PREMIER SUITES Nottingham? 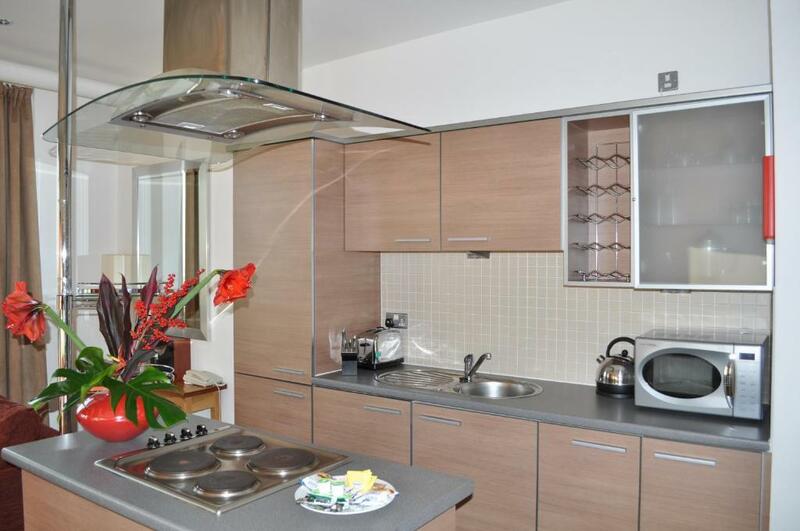 Modern, contemporary apartment with one double bedroom and a lounge/living/dining area. 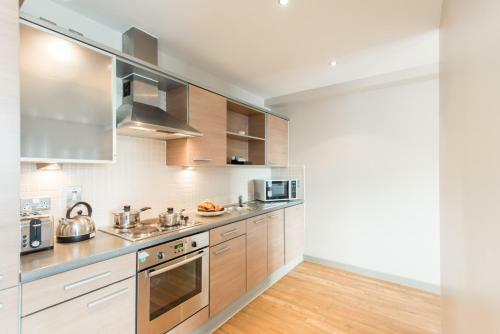 Apartments come with all linens, dishes, silverware and glassware. Modern, contemporary apartment with 2 double bedrooms, 2 bathrooms and a lounge/living/dining area. Apartments come with all linen, crockery, cutlery and glassware. 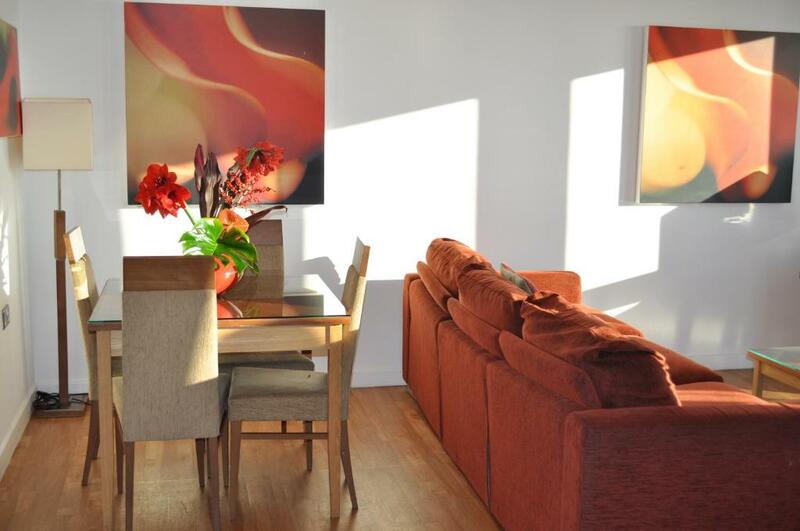 House Rules PREMIER SUITES Nottingham takes special requests – add in the next step! PREMIER SUITES Nottingham accepts these cards and reserves the right to temporarily hold an amount prior to arrival. Upon confirmation of booking, PREMIER SUITES will forward their Standard Terms and Conditions and Important Property Information relating to your stay. Should you not receive this information within 24 hours of booking, please contact the apartments directly using the details supplied on your booking confirmation. Please note if the booking is for the same day arrival the security deposit can only be paid by card along with photo ID in the same name as the cardholder. Office opening hours are as follows: Monday-Friday 09:00 to 21:00, Saturday 10:00 to 19:00 and Sunday 11:00 to 17:00. Please inform PREMIER SUITES Nottingham of your expected arrival time in advance. You can use the Special Requests box when booking, or contact the property directly using the contact details in your confirmation. Apartments are a bit tired and in need of a refurbishment. Noise from the bar underneath the apartment block was extremely excessive. Making it impossible to sleep before it closed at 01.00. Parking. Parking was all booked out when I requested. Paid parking near the facility (due to its central location) was expensive. Book parking well in advance if you can! Beds were very comfortable. Location was fabulous. 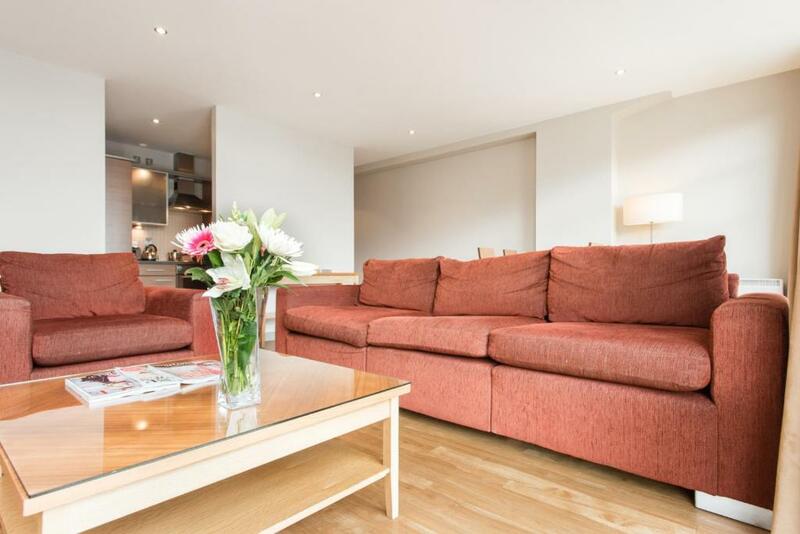 Walking distance to many tourist attractions. Fantastic place! So much room, so clean and Convenient. Really great apartment. Clean, comfortable and bed was really comfortable. Great power shower. Overall really great. Would highly recommend. Annoying extractor fan noise in bathrooms! There was nothing really, a few little damaged areas, bath panel and kitchen drawer but that's being picky. Comfy beds and spacious apartment. Would use again. Our double-bed was in fact 2 singles placed together - nothing wrong with that apart from the fact that single bedding had been used to try to make the double - including a single duvet draped across the join - with the result that nothing fitted or tucked in and the overall effect was like sleeping on a badly-made sofa bed rather than a bed in a 'premium' hotel. In addition, no soap in the bathroom and extractor fan not working. Complained (politely) about the bed in particular when checking out and subsequently to management with ABSOLUTELY NO RESPONSE. So great location for visiting the arena but that is about it.